Watch Brad Domke conquer what might be the biggest wave ever ridden on skimboard off the coast of Puerto Escondido, Mexico. 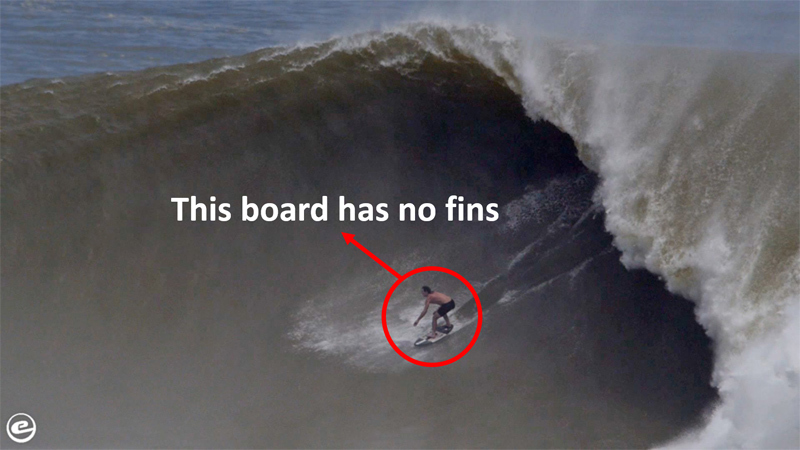 For those unfamiliar, a skimboard is like a small version of a surfboard… without any fins. So riding anything this huge is simply nuts.